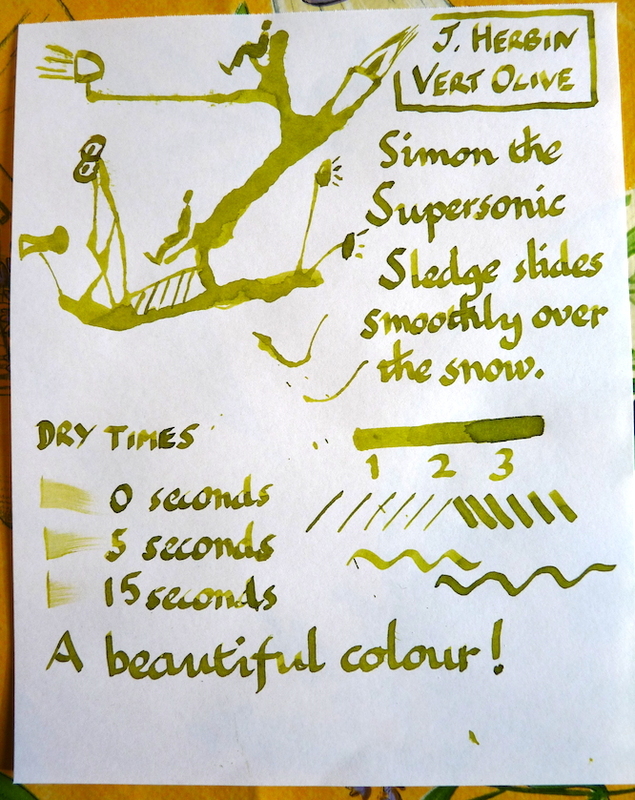 J Herbin Vert Olive ink review – Pens! Paper! Pencils! 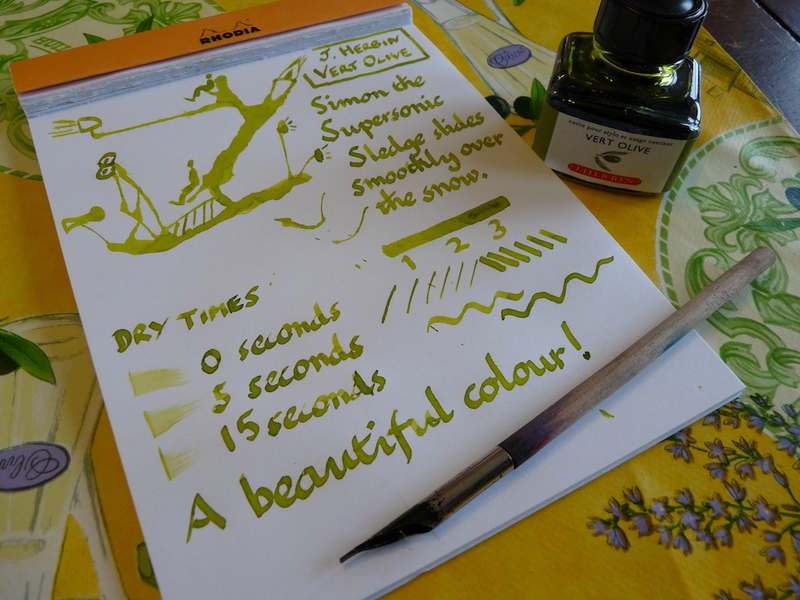 J. Herbin’s Vert Olive ink is a beautiful colour. I don’t think you even need to like olives to like this colour but I don’t know because who in their right minds doesn’t like olives? And gin. Olives and gin and good company, preferably sat outside in the evening sun. Does it get much better? I think not. But I digress. Or do I? Perhaps I like the colour of this ink precisely because it evokes those good thoughts. Here’s a video of me doodling the Inkling. I used a 2mm Mitchell Witch Pen for this review in order to bring out the colour. In common with many J. Herbin inks, this is quite watery and, this one being pale, needs a broad nib to bring out its character. The Witch Pen is a lovely dip pen but because of its nature you need to take the dry times with a pinch of salt. It’s a wet ink but it dries in a reasonable time. Beautiful color! Reminds me a little of a Noodler’s Army Green but with more yellow. Do you have a link to the Mitchell Witch Pen you used? I really like how it writes and would love to try it! Thank you! I feel very sad about how hard it is to get Noodler’s inks in the UK! I feel I’m missing out on so much!